Packed with 21 of the latest new and forthcoming chart releases, the 177th instalment of Mastermix’s Pro Disc series is out now. The March edition of Pro Disc features music from Cheryl, Kelly Clarkson, Calvin Harris, The Script, Sam Smith, Take That, Taylor Swift and more. 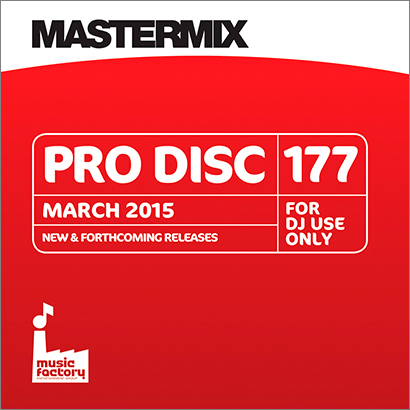 Pro Disc 176 is available now direct from Mastermix priced at £15.32 either on CD or as a digital download. It is also available from local DJ retailers across the UK and Ireland.